Rosacea is a common skin condition that causes visible blood vessels and redness in your face. It may also produce small, red, pus-filled bumps. These symptoms and signs may flare up for a period weeks to months and then diminish for a while. If left untreated, your condition could worsen. Rosacea can be mistaken for acne, an allergic reaction or other skin problems. While rosacea can occur in anyone, it most commonly affects middle-age women who have fair skin. There is no cure for rosacea, treatments can control and reduce the signs and symptoms. Usually this requires a combination of light therapy, prescription treatments and specific lifestyle changes on your part. 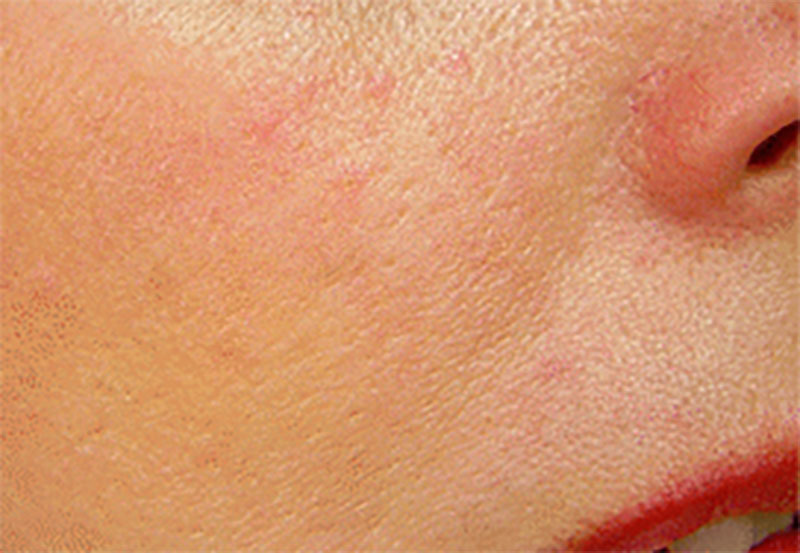 IPL can provide optimal therapy for the treatment of rosacea. Intense Pulsed Light works by flashing a intense spectrum of light onto your skin. When treating rosacea, the light is absorbed by the targeted blood vessels thereby destroying the vessel and reducing redness. 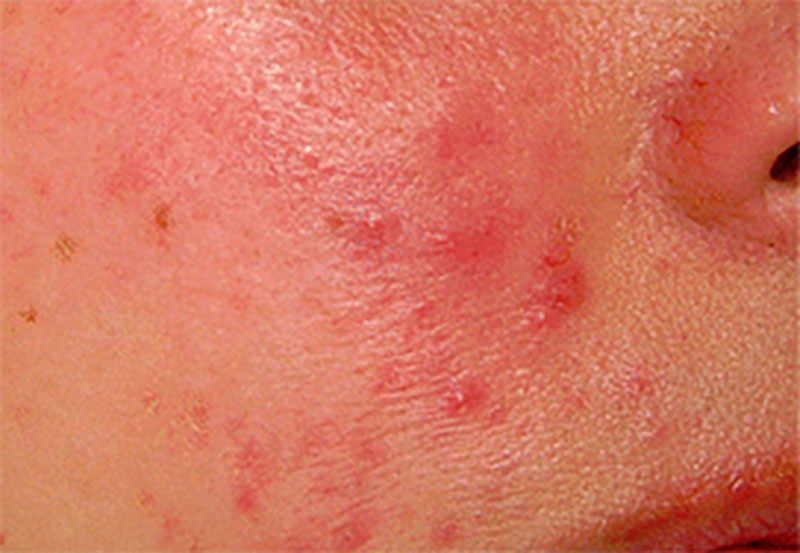 Patients with rosacea that are expected to do best with laser therapy are those with telangiectasia. The laser is absorbed by the red blood cells and destroys the lining of inflamed and visible blood vessels. Targeting these visible blood vessels can greatly reduce redness and flushing caused by rosacea. Laser treatment is not a cure for rosacea, but many patients see results for months or even years after treatment. Laser therapy requires a series of treatments to see results. You may need anywhere from two to eight treatments, which are spaced about six weeks apart. Minimum downtime. Avoid sun exposure after treatment is advised.